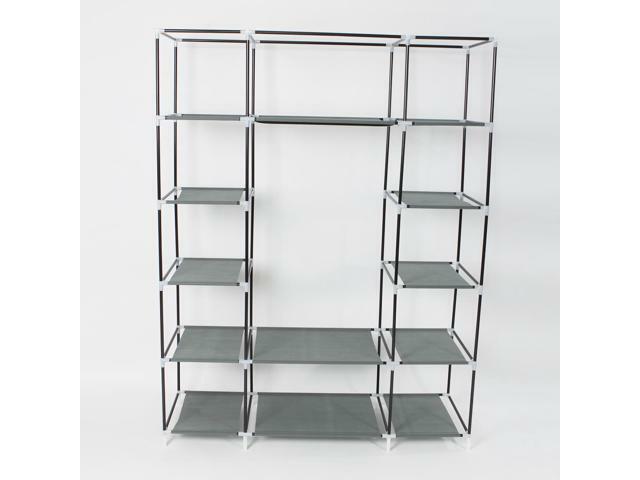 Troubled about storage issues in your house? 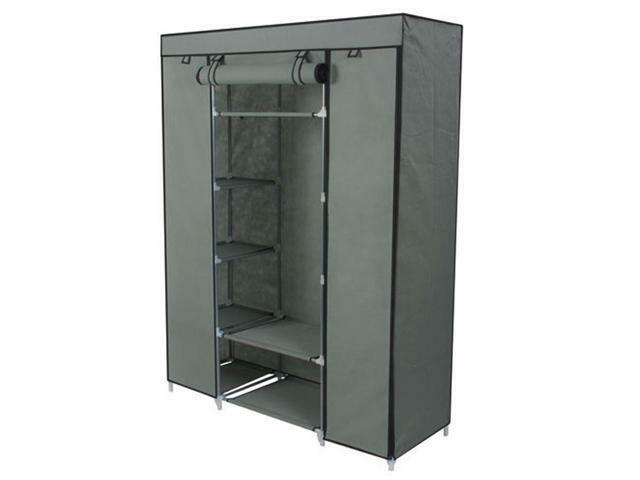 Try our 5-Layer 12-Compartment Non-woven Fabric Wardrobe Portable Closet! With 5 layers and 12 spacious compartments, it adds more space for all your clothes and accessories and makes your home neatly organized. 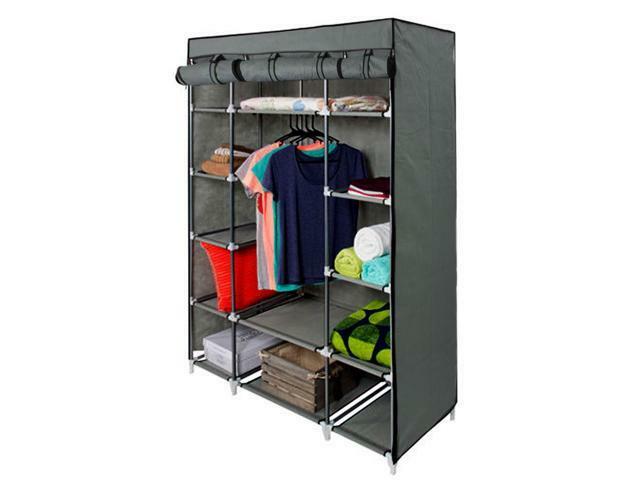 Two hanging rods on the top let you store longer outfits. 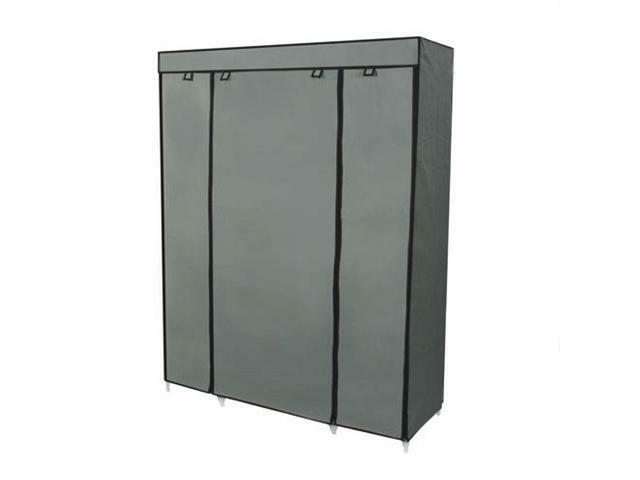 Crafted into a sturdy alloy construction with non-woven fabric cover, it is durable for long-lasting use. 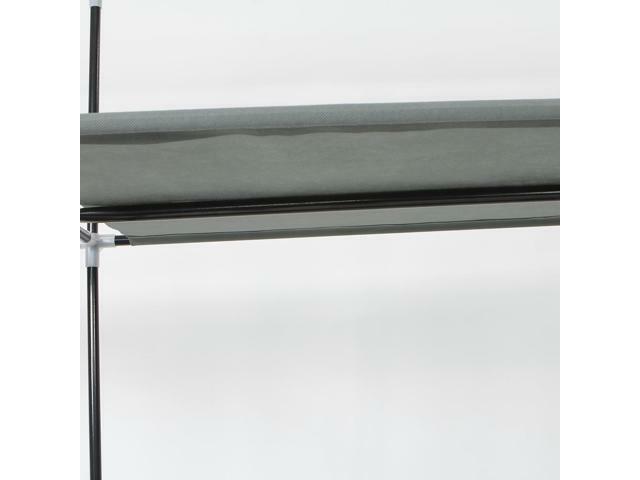 Rolling front doors keep the contents protected from dust and moisture. Don't hesitate to bring it home!